There are many effects of cortisol stress hormone on your health. Cortisol is produced in your adrenal glands and you secrete it as your body's response to the stressor you are faced with. The hormone has positive effects on your health when released in small amounts such as it metabolizes your sugar level. But if cortisol hormone is produced in large amounts, it leads to harmful effects especially on your immune system. What are positive effects of increased cortisol hormone? Cortisol is not all bad. Among the different types of stress, eustress actually has good effects on you. Eustress also releases cortisol hormone. Its good effects include . . . But when you don’t know how to remove stress, your body can’t go back to its normal state resulting in prolonged exposure to cortisol hormone. What are negative effects of cortisol? Being in constant contact with increased levels of cortisol hormone has negative effects. Harmful health effects include . . .
Too much cortisol makes your once-healthy bones weak, brittle and fragile. Women, especially those who are in the menopausal stage, are more prone to bone thinning. Have you ever noticed that when you are feeling stressed out; you catch a cold more easily? Your immune system is like a guard ready to defend your body from attacks of pathogens and for prevention of cancer cells. But stress lowers your immune function thus, it helps promote tumors. 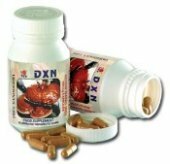 Red Reishi mushrooms are natural immune system boosters? They protect your cells from stressors. When you have a deadline at work and you are not even half-way done with it, you are prone to changes in bowel movements or stomach disorders; either you experience constipation or diarrhea. When you are under a lot of stress, you tend to make unhealthy choices such as finish off a slice of cake by yourself and find yourself getting another slice. Stress can make you hungrier than you really are and your cravings are so much worse. Your metabolism slows down and you gain weight especially on your midsection. One of the dangers of being overweight is it's a risk factor for many types of cancer. Why should you learn ways to deal with stress? Prevention of stress from overwhelming you should be one of your health priorities because it does a lot of harm to your body. It affects your judgment, your choices and your decisions. Some people turn to drinking too much alcohol just to ease whatever stressful moments they are having. Many smoke as a way to release their stress. All these behaviors have negative effects on your health and later on, will lead to vicious inflammation. It is now understood that a long-term body-wide inflammation lays the groundwork for the diseases that are plaguing the human race and this includes cancer. Too much cortisol hormone in frequent and increased doses can also damage the cells in your brain. It has adverse effects on the area needed for memory and learning. Bottom line? Learn how to avoid stress because it is crucial in cancer prevention and in keeping the effects of cortisol hormone under control. Read how I built my site and how it is changing my life.